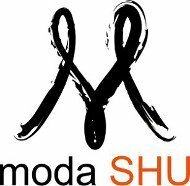 moda SHU is synonymous with chic and trendy. This multi-brand store is devoted to introduce high-end avant-garde fashion and accessories from around the world to the fashionistas looking for something on the cutting edge. Besides gathering the most amazing items from top-tier fashion brands, it also brings in unique designs from promising international designers every season. Apart from a range of international renowned brands and promising new labels, moda SHU also provides a collection of trendsetting accessories under its house brand. Ranging from bags, wallets, belts to scarves which are made of fine materials with contemporary designs, the brand offers a range of affordable yet sophisticated accessories to enrich your dynamic styles with refreshing mix and match ideas.